Its a cryptid animal...your not supposed to take decent still`s/or use the video camera/or have anything beside a mobile phone low resolution camera. And in keeping with the cryptid meme…the animal is out focus of course. The camera appears to be on autofocus and is trying to focus on the branch in the foreground whilst they are zooming into the background.. It's the legend that refuses to die. 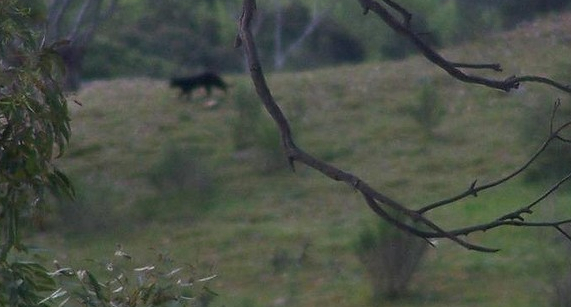 Rumours have circulated for decades about a mysterious panther-like cat roaming bushland fringes in NSW. Last Saturday, a startled couple from Goulburn became the latest witnesses to shoot a grainy, quick-fire frame of the large feline predator - which they insist was a panther.